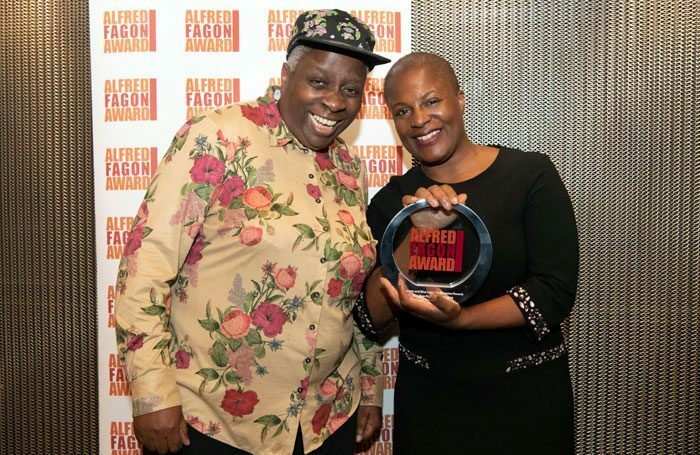 Winsome Pinnock has won this year’s Alfred Fagon Award for her play Rockets and Blue Lights. The annual award, for the best new play by a black British writer, was presented to Pinnock by Eclipse Theatre’s artistic director Dawn Walton at a ceremony at the National Theatre in London. The award is now in its 22nd year and is given in memory of actor and playwright Alfred Fagon, who died in 1986. Pinnock, whose other works include Leave Taking and The Wind of Change, won £6,000 for the main award, and beat off competition from Tife Kusoro’s Butterfly, Foxes by Dexter Flanders, Pan Lid by David Judge, and Chinonyerem Odimba’s Princess and The Hustler. She said she was “very proud” to accept the award and that she was “grateful to all the people who have supported me over the years”. Pinnock also used her speech to pay tribute to the late international director of the Royal Court, Elyse Dodgson, who died last month and whom Pinnock thanked for her contribution to her own development as a playwright. 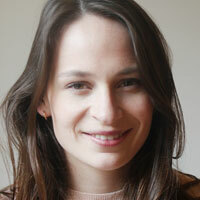 Rex Obano received the £3,000 Roland Rees Bursary, which is presented annually to a writer selected by the judges. This year’s panel was chaired by Brian Walters and also included Natasha Bonnelame, Mimi Findlay, Sheelagh Killeen-Rees, Judith Malone-Fagon, Olusola Oyeleye and Matthew Xia. Recent winners of the Alfred Fagon Award include Michaela Coel for Chewing Gum Dreams, Charlene James for Cuttin’ It and Diana Nneka Atuona for Liberian Girl.